Faerybee, your natural wood perch linked itself and took me to an advert to buy 'KORRES Natural Cedar Wood Long Lasting Eyebrow Pencil'. Not convinced that is what you were advising , and, in any event Elwen is far too beautiful for makeup!! Have managed to find some though (thanks so much for the info) and they are on order. The bandaging tip is also a good one which I can try in the meantime. Beautiful pictures of your stunning little girl. She is a real beauty and I absolutely adore her. By the way, I hope you've got her drinking under control, lol. Well, we have had 'the talk' and she seems to be staying away from the booze for now! 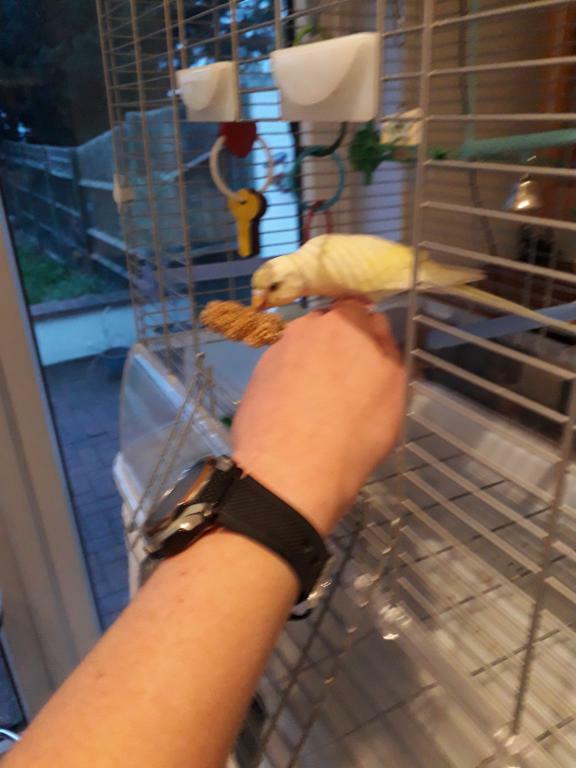 Today, for the first time, she voluntarily got on my hand to reach her millet. Yay! How exciting . It’s always such a great feeling when you experience a “first”. Here’s to many more for you and Elwen! That’s great that she seems to have taken your words to heart and is staying sober. 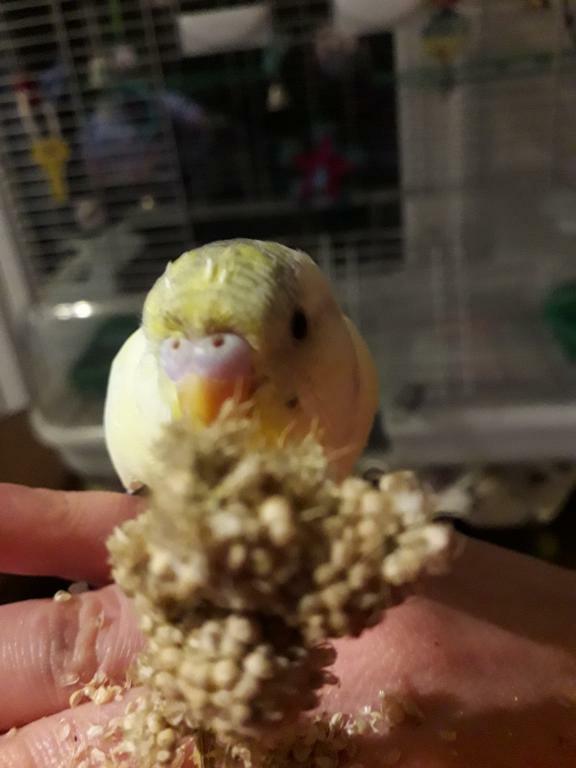 How precious that photo is of her on your hand eating her millet. It looks like taming is going really well and she is starting to form a close bond with you. Very much looking forward to the next update. Not sure why I was ever worried about this bird! 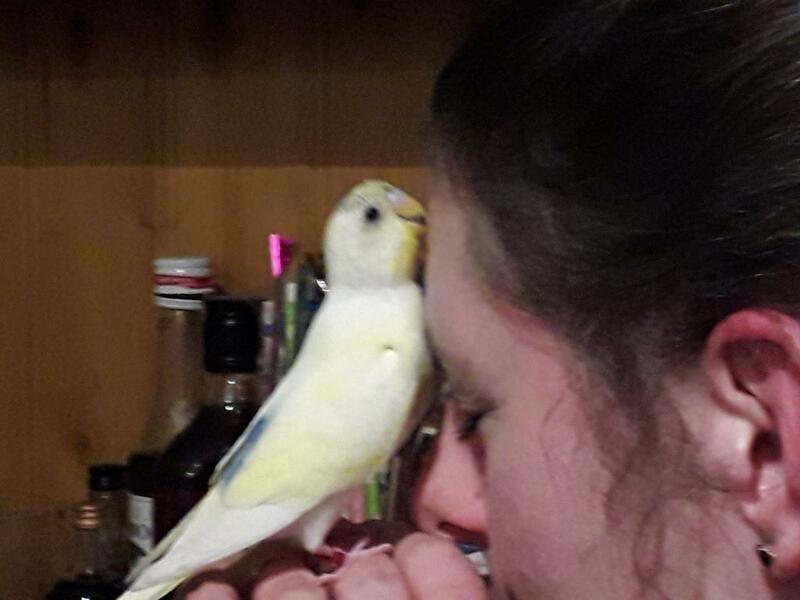 She is now noisy, confident and, as you can see from the pictures, happy to sit on my hand and eat and preen me. She is also an expert flier who likes to divebomb as and swerve at the last minute. 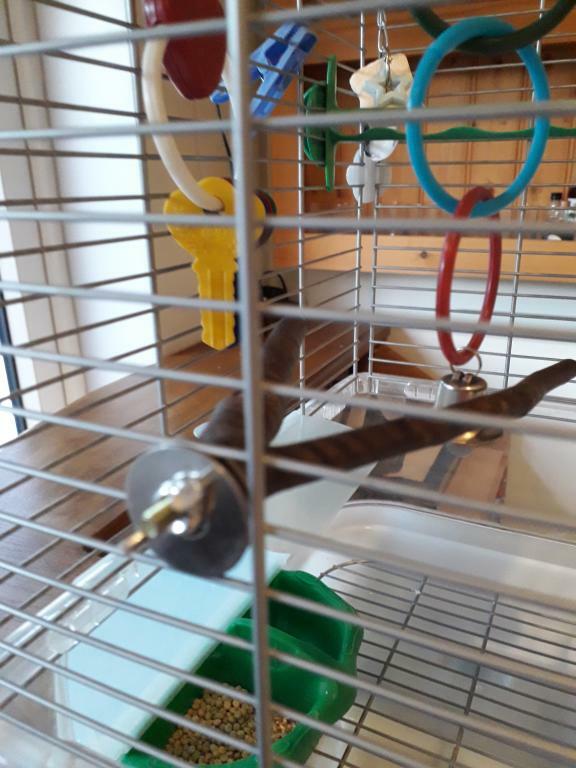 Elwen now has some wooden perches which she likes (and chews) so we are ordering some more and phasing out the plastic ones. Elwen is such a sweetie! Elwen is such a sweet bird! So well adjusted now . I love seeing pics of Elwen. She’s so sweet and looks like she has so much personality. I’m glad she’s doing so well. Are you aware that Ewin is featured on this month's logo and FaceBook cover?